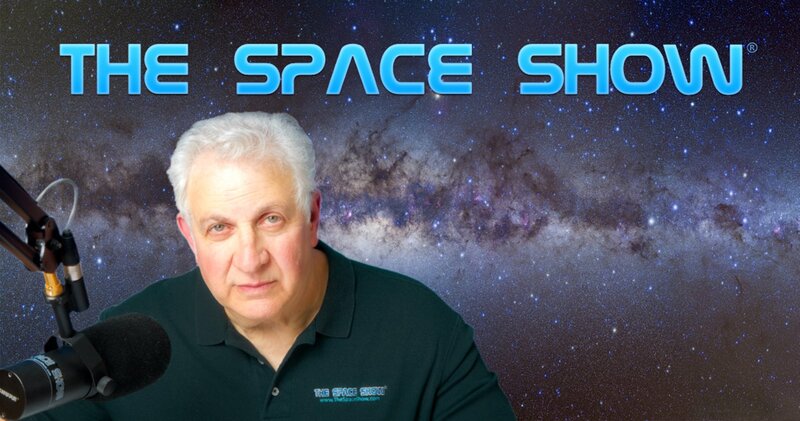 Guest: Dr. Haym Benaroya; Topics: Conveying value & importance of space to the general population, lunar & Martian importance, SSP, settlement, millennial issues connecting to space and more. Please direct all comments and questions regarding specific Space Show programs & guest(s) to the Space Show blog which is part of archived program on our website, www.thespaceshow.com. Comments and questions should be relevant to the specific Space Show program. Written Transcripts of Space Show programs are a violation of our copyright and are not permitted without prior written consent, even if for your own use. We do not permit the commercial use of Space Show programs or any part thereof, nor do we permit editing, YouTube clips, or clips placed on other private channels & websites. Space Show programs can be quoted, but the quote must be cited or referenced using the proper citation format. Contact The Space Show for further information. In addition, please remember that your Amazon purchases can help support The Space Show/OGLF. See www.onegiantleapfoundation.org/amazon.htm. We welcomed Dr. Haym Benaroya back to the show for this two segment 95 minute discussion regarding recent negative commercial space publicity and in ways poll results, especially about human spaceflight, going to Mars and the Moon. We started the first segment with me offering a longer introduction and opening set of comments than usual. In fact, our discussion was a bit different from most Space Show programs so this summary will also be different. I started out asking Dr. Benaroya about a possible trend or need to be concerned about several negative articles I had seen on a variety of NewSpace and commercial space topics which we discussed on air. Haym had much to say about the articles and trends I mentioned, including the results of a recent Pew Research Center survey on NASA and space. Haym and I had an interesting first segment discussion about these issues, our concerns, takeaways from the articles and how to move forward for creating the positive while communicating the space importance and value to general audiences and the media. We fielded several email questions before taking our first call. Jerry from Las Vegas gave us a zinger of a question, pointing out that on both a global and national view, not everyone has seen what the US and others have done on Earth as positive and are concerned if not fearful that the same folks moving out into space will continue unfair economic development and worse. Dr. Benaroya had much to say in reply to Jerry so definitely listen not only to the email which I read on air but what Haym said in response. Before moving on, I attempted my own response to Jerry which ended up being one of my long rants. After I concluded my comments, our guest had additional comments regarding Jerry's question. John from Ft. Worth called to tell us that he was not so concerned about the issues and trends that we mentioned earlier in the show. He explained why he did not share our concern and that the strong willed minority drives the global change. We agreed on the need for much better education so that more can take advantage of the multitude of opportunities that space was opening up around the world. Haym also offered comments about space not being personal such as other issues and why he sees space as a bigger need and a larger vision taking place over a longer time rather than working toward other more Earth and terrestrial goals. We talked about the Earth focused goals like saving animals for example. We agreed these were very important and noble but listen to how Haym and I compared them to the space vision goals. Both appeal to those wanting to "save the world" but they do so differently. We would like to know what you think about this so please post your thoughts on our blog. We started the second segment with our guest asking the listeners a series of questions as wanted more listener feedback. Don't miss our suggested listener questions which are at the start of the second segment. We then took a call from a Space Show first time caller from Pasadena, Gene. Gene had much to say and I urge everyone to pay careful attention to his suggestions and the reasons he provided for his suggestions. Both Haym and I were most impressed with Gene as he suggested taking the issues or issue important to the millennials and then answering it or solving the problem through space development. An example was the millennial focus on the environment and climate change, plus saving the world. He suggested using a demo SSP project to show how SSP and space could contribute to improving the environment and making a positive impact on climate change issues. You really need to hear all of what Gene talked about because his call was excellent as were his suggestions. In addition, Gene expanded the idea of an SSP demo to a lunar SSP project which would then facilitate lunar development and many of our commercial space objectives. Finally, Gene referenced a study and a Purdue faculty member and his work so I will be looking to track the people behind this to get them on TSS in the near future. Stay tuned. In response, Haym liked what Gene was saying as did I. Haym also confirmed the desirability of both lunar and Martian lava tubes for settlement purposes. I read an earlier email from BJohn wanting Haym's thoughts on the LOP-G. As you will hear, Haym thought there were better ways to go to the lunar surface than working through LOP-G. Before our program ended, another listener asked about the Bezos step by step incremental approach compared to the grandiose big giant step approach that seems to be what NASA going for (lunar lander example) and what others have suggested. Haym had much to say about these two approaches. He favored the step by step incremental approach. Make sure you listen to his explanation. Dr. Benaroya offered us closing comments. He also suggested that archive listeners give some thought to what we discussed and start a suggestion list on the blog for their ideas for better communication, education and the conveyance of the importance and value of space for everyone. We talked about a follow up program to this one and bringing in the listener suggestions to that follow up show. Don't miss what our guest said about this approach and feedback request. Please post your comments/questions on our blog for this show. You can reach Dr. Benaroya through me or his Rutgers University faculty page. is space valuable and necessary for humanity? space is important for everyone, listen why!